The Australian health insurance industry is highly regulated including the process for which health insurers can price and increase their policies. Historically, all health funds would increase their policy prices on the 1st of April but in 2014 there was a slight difference with IMAN increasing their policy one month later on the 1st of May. Below shows the price increases for the Department of Immigration and Border Protection approved single 457 visa policies. 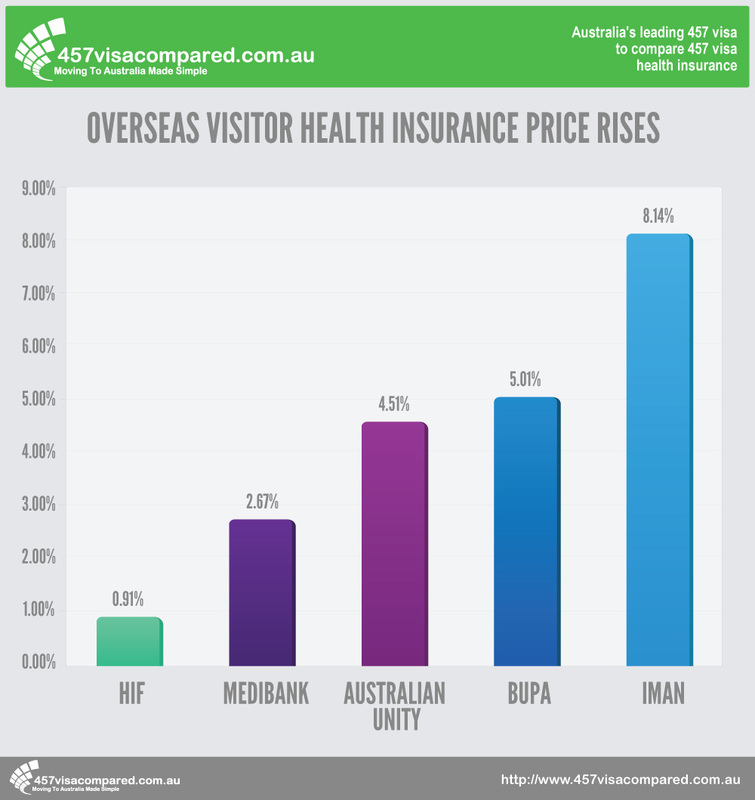 As the graph above highlights, HIF has by far the lowest 457 visa health insurance increase when it comes to their budget policy option compared to any of the other funds with IMAN recording the largest increase followed by BUPA. It’s recommended that for ANY insurance policy that individuals, couples or families review their policy and make sure its the best value for them. This includes making sure that your covered for the services that you may need or reduce your policy coverage if your paying for unneeded elements. As the graphs above highlight, IMAN’s policies have increased the most of any fund (8.14%). This is in-line with the companies parent companies average increase which were 7.99%. It’s expected that this increase was so dramatic due to lower increases in previous years compared to the industry average and the pressures of rising claims (especially in private hospitals). The fund still have the second cheapest cover of the major funds and the lowest priced when it comes to private hospital accommodation. It should be noted that HIF which now has the cheapest cover still offers outstanding value and has strong reviews from past policy holders. If you don’t mind being treated in public hospital then this cover may be more suitable for you. There is also an additional 4% HIF discount on the price advertised if you pay. 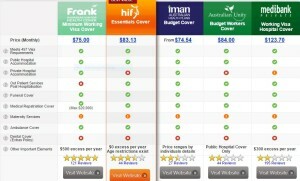 So How Does HIF Offer Such A Competitive Price? HIF is one of Australia’s oldest not-for-profit health funds. Because they are not a ‘for-profit’ fund they don’t need pay out dividends to shareholders or other stakeholders. Their unique ‘essentials cover’ budget policy does not cover private hospital accommodation which has recorded some of the highest inflation figures within Australia. HIF’s essentials cover is also restricted to those under 70 years old. Obviously those overseas visitors that are over this age are likely to claim more often which would put pressure to increase the average policy price.